When you engage with us you can be safe in the knowledge that your business will receive the highest standard of support. Our commitment to providing in-depth, forward-looking views and opinions differentiates us from the crowd. Our services are designed to be flexible so they can be tailored to your business, backed by a team that is – Experienced. Professional. Trusted. All our ‘free to view’ material in support of UK advisers is available in Research. And the latest news, views and topical written and video content can be found under Ideas. Log in now or register now for the RSMR Hub. RSMR was established in 2004 to meet the evolving needs of financial advisers and asset managers. The team has a culture that allows us to concentrate on understanding the demands and challenges faced by our clients, and to work in partnership with them to develop relevant investment services to deliver the best outcomes for all investors. Our team is made up of experienced people with a mix of skills from across the advisory and asset management communities. Our goal is simple - Our research. Your success. We first launched our online fund ratings service for advisers back in 2007. Following several upgrades, the RSMR Research Hub is now firmly established within the advisory community, continuing with the provision of independent comments and opinions on funds which have received an RSMR rating. We are also proud that RSMR offers the widest range of ratings for UK advisers covering active and passive funds, SRI-themed funds, multi-asset fund ranges, investment trusts and DFMs. Our robust approach and methodology to ratings in support of your fund selection due diligence and research process is explained in our methodology document. As you will see we take a pragmatic and binary approach which results in a rating been given or not. Our experience confirms that the use of stars or numbers in ratings only confuses the selection process and is misunderstood by the end investor. Our ratings are awarded following a rigorous process and are supported by factsheets and guides - all available on the RSMR Hub. Each factsheet provides background information, a summary of the investment process and our comments and opinions. We aim to deliver succinct and totally independent information in an easy to understand format. Our opinions are just that - ours! The team here at RSMR have many years’ experience and maintain their market knowledge by meeting with the fund management community, market analysis and their own continuing professional development. For more details see the RSMR team details. Ongoing review and monitoring is part of the norm for us and changes and updates are added to the RSMR Hub when required. Other features of the Hub include our quarterly market investment bulletin Viewpoint, adviser guides, sector factsheets and regular updates. You can also tailor the Hub dashboard by using the ‘favourites’ button and store documents regularly used - making access even easier. Our research is completely impartial and we cover the whole market composed of all funds across the universe of the Investment Association (IA) sectors. Access to the RSMR Hub and our other online services is free of charge to regulated professional advisers. Our revenue is split between fees paid by advisory firms for the provision of bespoke research services and fees from providers for marketing services, research and support. We review and research funds and solutions offered by any UK fund management group, and whether a fund group pays us a fee of any description has no bearing on our decision to award a rating. 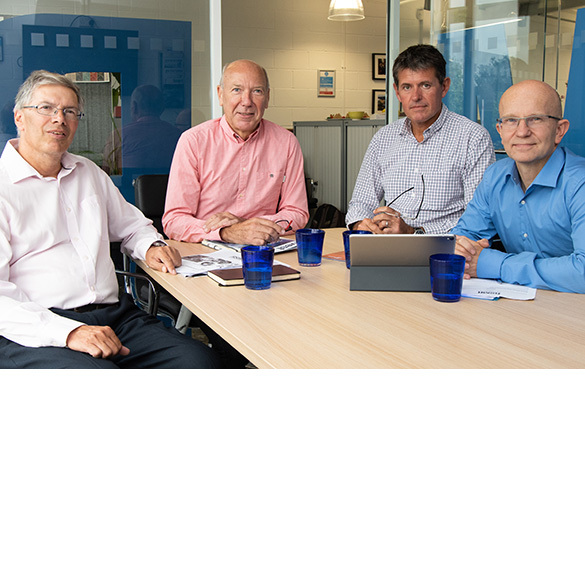 The research team is led by Ken Rayner and our commercial team is led by Geoff Mills, both founding directors of RSMR. Everyone at the company is committed to ensuring that our service and our pricing are operated in a fair, transparent and professional manner, underpinning the impartial nature of our research and the ethos of our company.